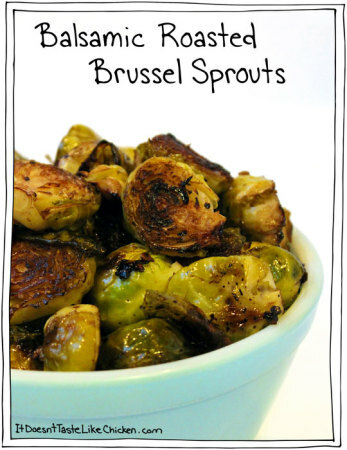 Roasting Brussel sprouts enhances their flavour and makes them addictively yummy! Toss the Brussel sprouts with the olive oil, balsamic vinegar, garlic and salt. Spread on a baking sheet and bake for about 15 minutes until Brussel sprouts are cooked, and some bits are almost charred.